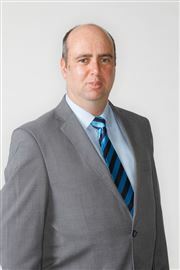 Richard joined the Highland Real Estate Group in 2004 as a sales consultant in their Queenstown office. He quickly developed a reputation for delivering outstanding service, and an honest, friendly and professional approach to helping his clients achieve the best possible success. He was placed in the Top 100 Harcourts agents nationally, and Top 20 South Island every year from 2004 - 2015. He was also the Number 1 Queenstown agent for 3 of those years, and Number 2 for the other 9 years. So it's fair to say he understands the commitment and professionalism required to be a top performing agent. He now brings this drive for excellence to Dunedin as their Manager. 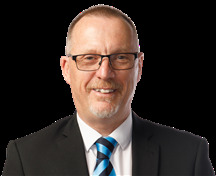 He is proud to lead a team of agents dedicated to delivering the level of service that has helped Harcourts become New Zealand's Number 1 real estate company. Choose Ashley for an agent who doesn’t just go through the motions, who injects life and vigour into your property sale and who transfers her immeasurable energy into tangible results. Choose Ashley for an experience you’ll remember for all the right reasons! The first thing that strikes you upon meeting Ashley is her boundless energy and immense drive. She’s approachable, easy to talk to and passionate — you can tell she loves what she does and is fixated on achieving results for her clients. Most of all, Ashley wants to make this experience easy and enjoyable for you. Her professional yet personal service puts you at ease as she works alongside you to accomplish your goals, and her all-hours commitment and unwavering work ethic make things seem simple. Her refreshing and determined personality makes the process enjoyable, rewarding and stress-free. As part of the Harcourts Dunedin team, Ashley lives the values of Our Promise: that we’ll deliver an exceptional level of service in acknowledgement of our responsibilities to you. She values the industry-leading Harcourts technology while our team environment empowers her with a vast network of active buyers and sellers. Ashley has a history in high level hotel and restaurant management, with an adventurous side which took her from Dunedin to London via Franz Josef and the Bay of Islands. These experiences consolidated her honest work ethic and fearless approach to any challenge. She knows success comes through focus, hard work and passion — and she wants to harness these characteristics for the benefit of her clients. Born and raised in Dunedin, Ashley knows this city inside out. She’s one of your own and her substantial property knowledge is paramount for a profitable sale or successful purchase. She naturally wants to help the people who live here benefit from their real estate endeavours. 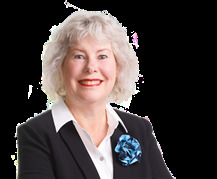 Ashley works closely with Kay Lucas, another of our experienced and respected consultants. Together, they’re a force in Dunedin real estate, using their combined knowledge, reach, passion and skills to deliver excellent results. Enthusiasm, passion and a can-do approach: Ashley’s fearless approach to real estate has achieved extensive success for innumerable happy clients. Bridget loves resolving difficulties, overcoming challenges and achieving results — and she’s been doing that in real estate for more than 10 years. In her twenties, Bridget had a successful law career in London. She put it on hold to return to Dunedin and raise her family but, naturally motivated, she quickly came to crave a return to the professional world. After scanning the city for opportunities in which she could utilise her talents, she landed upon real estate. Bridget immediately took to the industry — it’s a field that provides the challenges and excitement she loves in her working life, and she innately possesses the required determination and drive. Now, more than 10 years down the line, Bridget finds her role inspiring and enjoyable, and considers the most rewarding aspect the long-standing relationships that develop from a job well done. When you employ Bridget for her real estate service, you’ll find that she’s whole-heartedly committed to clearly understanding your goals. From there, she offers a personal and tailored approach that’s coupled with the best possible service. An excellent marketer and skilled negotiator, she’s got everything covered when it comes down to the nitty-gritty of sealing a deal. Bridget’s background in law has instilled a sense of professionalism and integrity — she always does the right thing and the best thing for her client. Buyers and vendors alike cite Bridget’s enthusiastic, open and honest personality as wonderful influences on the enjoyment and success of their real estate experience. Emma’s driving real estate into the 21st century with a fresh approach to online marketing, a strong grasp of the market and highly accommodating client service. Following six years of administration and two years of administration at Harcourts Dunedin, Emma realised she could do what her colleagues were doing. She moved into consultancy and hasn’t looked back: she offers a unique and refreshing approach to real estate with perceptiveness, knowledge-sharing and high quality marketing at the cornerstones of her business. Having joined Team Laughton in 2016, Emma brought a new dynamic to the high-performing team. Her online skills have enabled them to build a strong digital presence and her adeptness with the Harcourts systems, apps and technology has boosted the team’s efficiency — they can collectively focus on the thing that matters: getting results for their clients. 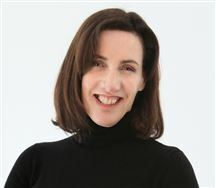 With a discerning eye for detail and an intuitive grasp of the market, Emma’s known for her high quality listing presentation and attention-grabbing advertising campaigns. Take her out of the office and she loves meeting her buyers and sellers, encountering their great properties and offering the exceptional service she prides herself on. Born and bred in Dunedin, Emma’s a true local who loves everything about this city and is dedicated to helping people with their real estate goals. She’s excited about the property market and loves getting the opportunity to do what she enjoys every day. So, when it comes to your next real estate transaction, let Emma’s passion, skills and service be the difference: choose Team Laughton. Graeme’s approach to his work is one of determination and motivation. Mix that with plenty of experience, and you’re on to a winner with this seasoned jockey. Graeme has notched up many great accomplishments over the years, which is what makes him a great agent. Most notably, being a top level negotiator for large multinational corporations, specialising in marketing and procurement. He holds a Bachelor Degree in Entrepreneurship and held a senior marketing management role for the Inturei syndicate. With his strong business acumen, aptitude for marketing and negotiation, it’s really no wonder he stepped into the world of real estate and we are very glad he did! 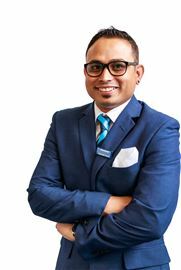 His role with Harcourts as both a Business Broker and Residential listing agent, allows him to combine his toolkit of impressive skills and experience to work towards your goals. Graeme has an astute ability to swiftly recognise his clients’ needs, building rapport with both sellers and buyers and delivering a marketing backed approach to achieve the best possible results for all. Outside of real estate, his passions include horse racing; Graeme was introduced to the sport at the age of 15, becoming a jockey, and is now the proud owner of race horses. He has also been an active member of his church, particularly helping the under privileged children and families in his community. If you’re looking to sell either a home, a business, or want an agent who combines exceptional business skills, a hunger for the best results and a love for his local community, look no further than Graeme Clydesdale. With 20 years of property experience, Jason has developed a great reputation for his strong ethics, constant communication and passion for residential and investment property. Adopting a seamless end-to-end management style, Jason takes full control of the sale process to leave you with minimal stress and plenty of confidence. He’s intent on providing an exceptional level of service and he prides himself on bringing trust, honesty and confidentiality to your experience. Contactable and readily available, Jason prioritises face-to-face meetings to make sure you have the full picture at all times. Jason is an informed authority on all aspects of real estate and offers useful explanations of contracts, conditions and the transactional process. 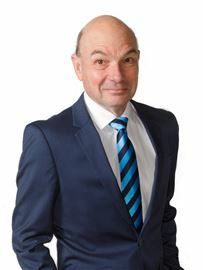 He’s an up-to-date source of information in the Dunedin market and, with his exemplary negotiation skills and willingness to get the bit between the teeth, displays single-minded determination to accomplish the results his clients are hoping for. 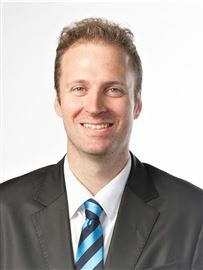 Over his years of experience, Jason has developed a particular passion for student and rental investment property. He has a detailed knowledge of the returns and regulations in this area which means he can provide his clients with sound advice and the ability to identify new opportunities along with real enthusiasm for this part of the market. Upon joining the trusted brand of Harcourts, Jason strengthens our team with his wide-ranging expertise in the residential and investment markets. Our industry leading systems, processes and technology empower Jason to do what he does best — bring buyers and sellers together to achieve the most favourable outcome for everyone involved. “I don’t believe in selling or leasing a property (possibly anybody can do that) but in presenting a property to the market that will attract all possible interest and then to use my skill at negotiating to get the maximum results for my clients.” “My Reputation is My Business"
Mark is a dedicated sales consultant who brings a wealth of knowledge, wide-ranging experience and excellent client service to your transaction in his focused approach to consultancy. Whether you’re looking for a relaxed chat about the market or an in-depth discussion regarding your next property endeavour, you’ll receive insight, value and informed opinion from the Laughtons. With a fresh and motivated outlook, Mark and Penny's astute industry knowledge is evident from the get-go and they take care to ensure every interaction is accommodating, useful and enjoyable for everyone involved. Mark and Penny make communication a priority and excel when it comes down to the nitty-gritty of negotiations and deal-making. These skills saw them win the Harcourts Rising Star Award for the regional South Island in 2015: a huge achievement and an accurate indication of things to come. You may know Mark and Penny from their previous successful business, Mark Laughton Motors and AA Auto Centre, which they ran for 14 years. Over that time, they built a solid reputation for exceptional customer service which allowed them to transition seamlessly from being Dunedin’s trusted motor people to the reliable real estate consultants they are today. With valuable life skills under their belt, Mark and Penny tackle the complex and ever-changing property market with efficiency and expertise. The Laughton’s property credentials extend beyond their working life, too. They’ve built three new homes, owned rental properties and enjoyed many family homes together. They fully apprehend the emotions involved in buying, building and selling real estate, and they provide confidential professional advice tailored to your property goals. The Laughtons love everything Dunedin has to offer and enjoy a family lifestyle here: they’ve been married for 23 years and have two teenage children. You’ll often find them participating in community and charity events — they’re proud sponsors and volunteers with the Malcam Trust, the Special Olympics, Musical Theatre Dunedin and Chat Bus, while Mark is a founding member and chairman of the Dunedin Santa Parade, which they’ve successfully run for 18 years. Mark and Penny are delighted to have recently welcomed Emma Dickson as the newest addition to Team Laughton. A passionate sales consultant, Emma is also a tech whiz, marketing expert and breath of fresh air in the industry. 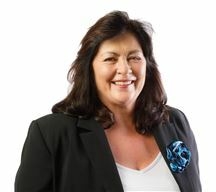 A huge strength to Team Laughton, she helps the team deliver the ultimate experience for you. For an optimum result with your next transaction, employ the experience, efficiency and effectiveness of Team Laughton. As your Sales Consultant, Martin will be an advocate for you. Whether you are buying or selling, he will work tirelessly to promote your best interests. If you are selling, he will work with you to find the best buyer, not the first buyer, by using the most innovative technology, strong team collaboration, and Harcourt’s superior marketing materials. If you are buying, he will work hard to provide you with the best information and market data to inform and assist you, so you can be a well-equipped buyer with the strongest possible negotiating position. Martin understands that buying and selling real estate can be stressful. As a full-time Sales Consultant, he will work hard to lower your stress level and make your experience as smooth as possible. He will accomplish this through constant communication and by being accessible whenever you need him. 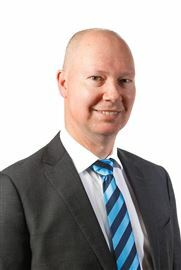 Martin was raised in Dunedin and schooled at St Patrick’s Primary, Kavanagh College and the University of Otago where he studied Geography and Marketing Management. Martin is something of a cricket tragic and started playing at 8 and still gets out there for short-form games. He has been active on both the Carisbrook Dunedin Cricket Club Committee as well as the Dunedin Cricket Association Management Committee. When not out working for his clients, Martin enjoys spending time with his dog Patrick and exploring new streets, tracks and trails. He will also go out to one of the fantastic golf courses around Dunedin and lose a few golf balls or have a roll up on a bowling green. Recently he has developed a passion for astrophotography and hunting the Aurora Australis. If you are looking for a sales consultant who is passionate about achieving his goals and more importantly yours and you want to be part of our team as the most valuable player, then please get in touch and let’s make it happen. Penny is a dedicated sales consultant who brings a wealth of knowledge, wide-ranging experience and excellent client service to your transaction in her focused approach to consultancy. Whether you’re looking for a relaxed chat about the market or an in-depth discussion regarding your next property endeavour, you’ll receive insight, value and informed opinion from the Laughtons. With a fresh and motivated outlook, Mark and Penny's astute industry knowledge is evident from the get-go and they take care to ensure every interaction is accommodating, useful and enjoyable for everyone involved. Mark and Penny make communication a priority and excel when it comes down to the nitty-gritty of negotiations and deal-making. These skills saw them win the Harcourts Rising Star Award for the regional South Island in 2015: a huge achievement and an accurate indication of things to come. You may know Mark and Penny from their previous successful business, Mark Laughton Motors and AA Auto Centre, which they ran for 14 years. Over that time, they built a solid reputation for exceptional customer service which allowed them to transition seamlessly from being Dunedin’s trusted motor people to the reliable real estate consultants they are today. With valuable life skills under their belt, Mark and Penny tackle the complex and ever-changing property market with efficiency and expertise. The Laughton’s property credentials extend beyond their working life, too. They’ve built three new homes, owned rental properties and enjoyed many family homes together. They fully apprehend the emotions involved in buying, building and selling real estate, and they provide confidential professional advice tailored to your property goals. The Laughtons love everything Dunedin has to offer and enjoy a family lifestyle here: they’ve been married for 23 years and have two teenage children. You’ll often find them participating in community and charity events — they’re proud sponsors and volunteers with the Malcam Trust, the Special Olympics, Musical Theatre Dunedin and Chat Bus, while Mark is a founding member and chairman of the Dunedin Santa Parade, which they’ve successfully run for 18 years. Mark and Penny are delighted to have recently welcomed Emma Dickson as the newest addition to Team Laughton. A passionate sales consultant, Emma is also a tech whiz, marketing expert and breath of fresh air in the industry. A huge strength to Team Laughton, she helps the team deliver the ultimate experience for you. For an optimum result with your next transaction, employ the experience, efficiency and effectiveness of Team Laughton. Wendy is privilged to offer her personal attention, effective marketing and excellent negotiating skills in order to achieve your dreams and goals in life. 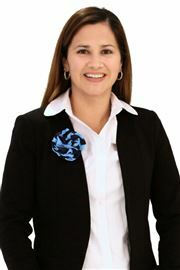 She has worked in the real estate industry since 1991 and has seen the highs and lows of the property market. She has bought and sold a number of properties over the years and is aware of the stress involved in selling and buying a home plus the level of customer service expected when dealing with a real estate professional. Wendy puts herself in your shoes constantly to ensure the experience is as stressfree as possible. 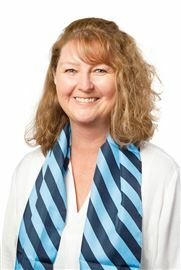 Being an active member of the Otago Property Investors Association, Wendy's roles include Vice President and being on the Women in Property and Marketing sub-committees. Wendy has been involved with a large number of real estate transactions in her career and prides herself on going the extra mile for her clients. Debbie has an extensive background in the credit/finance industry and in customer service having worked in the insurance, banking, hospitality and haircare fields. Originally hailing from Auckland, Debbie has called Dunedin home for the last 15 years. She lives in central Dunedin, along the beautiful town belt where she appreciates the birdsong and peaceful oasis that exists in the inner city. Outside of work, Debbie enjoys yoga, swimming, smallbore rifle shooting , gardening, walking and good food and wine! She believes life is all about experiences and making the most of each and every day. Debbie loves dealing with people, building relationships and providing great customer service. Jan’s role is to dot the i’s and cross the t’s for Harcourts Otago Property Management as she sets the highest possible standards in efficiency, service and customer care. Having been with us for 18 years, Jan is Harcourts through and through. She lives and breathes our company values and sets a tone of accuracy and attention to detail in our regional property management division. Jan fully understands the expectations of our clients and puts in place strong procedures and processes for the team to adhere to while providing an exceptional level of service. She’s responsible for making sure the company observes industry regulations and guidelines and she helps new landlords and tenants comprehend their rights and responsibilities. Financially-minded with a brain for numbers, Jan’s an excellent resource for clients when thinking about ROI and rental rates. She’s meticulous and focused, never leaving a job half-done. With the priority of supporting our property managers, Jan’s the one they turn to for help with a problem, knowing her extensive industry experience will help find the answers they need. Outside of property management, Jan’s a keen golfer and likes relaxing at home and catching up with friends to shoot the breeze. Get in touch with Jan today to find out more about our property management services in Dunedin and Otago. Krista has worked in property management for more than five years and has a thorough understanding of the industry. Prior to joining the industry, Krista worked in various hospitality roles where she developed great customer service skills and her love of people. Having grown up in Dunedin, Krista is a staunch Highlanders’ supporter and loves watching games live at Forsyth Barr Stadium, or at home with family. On the weekends Krista can be found out and about, enjoying walking the dog, spinning a hoop, or seal spotting at Aramoana. Krista loves the dual-facing nature of her role as it grants the opportunity to meet people from all walks of life. Lee provides vital administrative support, insightful property knowledge and great service as the client-facing backbone at Harcourts Property Management Dunedin. Lee’s resourceful assistance and willingness to help out wherever she’s needed facilitates the smooth running of our office and keeps the team performing at its best. 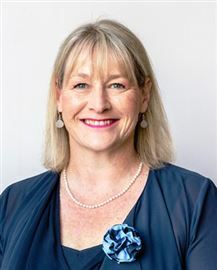 An adept user of the efficient Harcourts systems and technology, she capably handles the administration, marketing and support duties for our extensive portfolio of properties. She’s a great team player with excellent people skills and ceaseless energy, offering an open welcome and attentive service to every person who steps through the door. Having worked for Harcourts since 2004 and in real estate sales since 2006, Lee has an accomplished understanding of the property industry. She transitioned seamlessly from sales to management and now relishes her new varied role in which she can tap into her passion for people and simultaneously harness her property knowledge to help clients identify new opportunities. Lee previously enjoyed professional roles in education, choreography and ballet teaching which saw her develop a perceptive understanding of the way different people work, think and learn — these skills aid her in providing tailored service and excellent client care. She considers herself lucky to have fantastic people around her and believes their strong communication and shared outlooks to work and life make them a highly competent team with whom both owners and tenants enjoy dealing. Harcourts Property Management Dunedin is nationally renowned for its business progress and client service and, in 2015 and 2016, we were awarded 2nd and 1st place respectively for Harcourts Top National Property Management Office for Business Development. Get in touch with Lee today to discover the services of our high-performing and friendly property management team. With more than 10 years in the property industry, Melissa is a highly informed property authority and an invaluable asset to the team at Harcourts Dunedin. Melissa has navigated her way through the property industry in a wide range of roles, each of which have granted her extensive knowledge and an acute awareness of trends and developments in Dunedin property. Beginning her career in property management, she has also worked in housing projects and property acquisition as well as in high-level support roles for senior real estate professionals. In this varied career, she’s dealt with proposals, marketing, viewings and investment sourcing across both the residential and commercial sectors of real estate: her experience elevated our service to the next level when she joined us in 2015. Melissa calmly and adeptly juggles the management of a large rent roll of residential, student and studio properties in Dunedin and acts as an efficient, reliable and approachable mediator between her clients. Trusted to always act with high integrity, she handles every lease with efficiency and professionalism and is quick to convey updates and expert advice on market changes for owners. Clients cite Melissa’s thoroughness and established processes as differentiating factors and they know they can count on her awareness of landlord and tenant rights and responsibilities. Harcourts Property Management Dunedin is nationally renowned for its business progress and client care and Melissa has been instrumental in this success. In 2016/17 she was awarded 2nd place for Top Property Manager in the Harcourts South Island Region. In 2015 and 2016 the office was awarded 2nd and 1st place respectively for Harcourts Top National Property Management Office for Business Development. Melissa also enjoyed professional recognition from the NZ Transport Agency for Excellent Client Service Delivery. Melissa’s first priority is to take the stress off your hands — get in touch to make your investment easy. Heading up our Dunedin property management team, Sarah’s vast industry awareness, dedication to her job and great sense of fun have made her a well-known and much-loved figure in the Dunedin property scene. Sarah takes the view that her role is all about communicating information in the most efficient, timely manner to deliver favourable outcomes for everyone involved in the lease of a property. 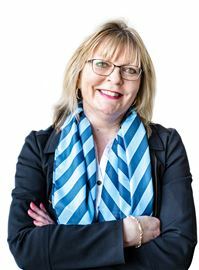 It’s this approach that has seen her gain great respect and many repeat clients — in recent years she’s driven Harcourts Property Management Dunedin to unprecedented levels of success and recognition. Add to the mix Sarah’s sense of urgency, innate ability to nurture great relationships and clear passion for the city in which she lives, and it’s clear to see why she’s the first choice for Dunedin’s property owners. Sarah loves the variety and challenges we face every day in property management — that’s where the fun starts! By resolving problems quickly and keeping in constant communication, Sarah effortlessly keeps all her owners and tenants happy even in the face of adversity. 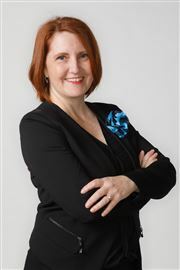 Prior to her current role, Sarah spent five years in real estate sales and she’s also an active property investor: her personal and professional experience in the industry allow her to pass vital information and first-hand intuition onto her clients as she takes all the stress off their hands. Harcourts Property Management Dunedin is nationally renowned for its business progress and client care and has a long list of awards to prove it. Here in the office, Sarah’s known for her boundless energy — she balances her job with her role as Past President of the Dunedin Rotary Club and she also manages to find time for travelling, going to the gym and spending time with her family. Contact Sarah today to take the first step in achieving your property goals. 1971 Was a Very Good Year! Don't Miss This Exciting Find! Wait No Longer for Long Beach! A 'Flat Out' Great Investment! 253m2 of Inner City Living! Location x Auction = Action! All Day Sun and Awesome Views! Easy Living - Easy Decision! We Have Found Your Paradise! Step onto the property ladder. Want To Build On The Coast? A Fine Home With A Sleep Out! Kinda The Best In Kenmure! Style Smart - With Sleepout! Grandma's House Is For Sale! It's All Go on Gamma! Cute, Cosy and just WOW! Tune In To A Terrific Buy! Big Home - Low Price! Ready To Be Snapped Up! At 8.2% Return - Why Hesitate? Home and Income - With Views!